Aquamarine is the green-blue gemstone variety of the mineral beryl. This pastel toned crystal has been regarded and sought after throughout history. The beryl mineral family holds several other notable gemstones including the mysterious green emerald and delicate blush hued morganite. Small traces of iron in the crystal structure of beryl causes aquamarine’s tranquil bluish-green color. Beryl often forms in large crystals, allowing for the possibility of large faceted gemstones. The Latin word for seawater is where aquamarine received its name. It is not hard to image why when you consider the gemstone’s greenish-blue color and exceptional clarity. Aquamarine is often associated as the birthstone of March. 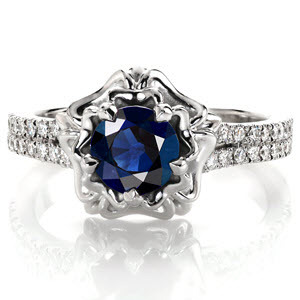 Here at Knox Jewelers we have created several beautiful custom jewelry pieces featuring extraordinary hand selected aquamarines. 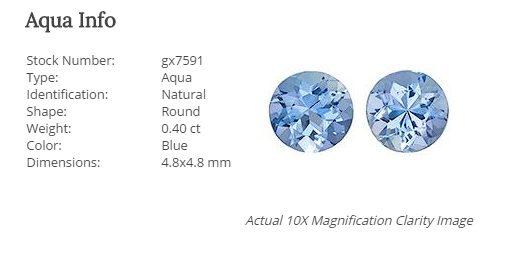 Aquamarine, and all other beryl gemstones, are not as durable as sapphire or diamond, so if you choose to set an aquamarine into one of our custom ring settings, it would need to be worn with care and might not be suitable for everyday jewelry. However, these seawater-like gemstone pair shown here could make a stunning pair of stud earrings. This round aqua gemstone pair is currently featured on our online gemstone list, and they are just waiting to be made into a custom created masterpiece! For the past two centuries, the Brazilian state of Minas Gerais has been a major source of aquamarine and several other beryl varieties. Aquas are often discovered in the eastern regions of the state. Another important supplier of aquamarine is the elevated mines in Pakistan. Reaching these crystal deposits requires a steep climb to cliffs reaching 13,000 or more feet. These harsh mining conditions are worth the reward, aquas from these deposits are often described clear as water. Let us at Knox Jewelers help you design a custom created piece of jewelry holding the beautiful aquamarine pair featured here or any other available option on our gemstone list! Near the close of last year, Knox Jewelers predicted what might be the up-and-coming trends for custom engagement rings in 2016. 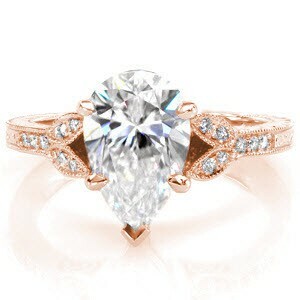 One conjecture, on the upcoming popularity of nature inspired engagement rings, has now become a fact. 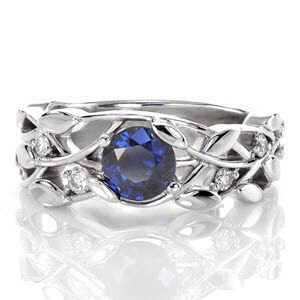 Both engagement rings and wedding band with motifs drawn from nature are currently in demand. All year the requests have been pouring in for custom created rings displaying flowers, petals, leaves, vines and even mountain scenes. 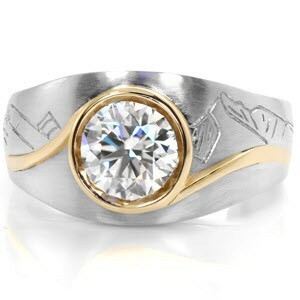 If you or your partner-to-be has a passion for the outdoors, then creating a ring with natural elements might be the perfect way to symbolize that affection. 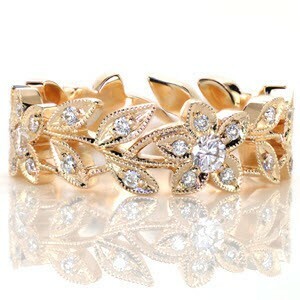 A band with wrapping vines may remind you of time you spent outdoors together, or a ring with sculptural plumeria may symbolize her favorite flower. If you are at your most happy outside, close to the elements, let us incorporate that feeling into the most important piece of jewelry you wear everyday. 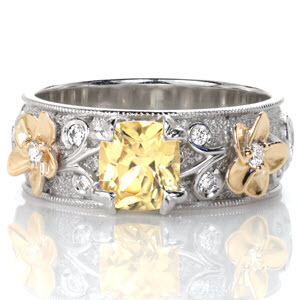 Your passion for the outdoors aside, certain flowers were used in antique jewelry to convey secret messages. For example, roses were a symbol of friendship. 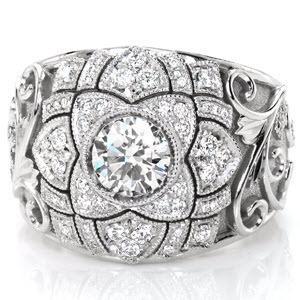 If you would like to mimic elements from your favorite antique floral jewelry, we can help you turn your inspiration into a one-of-a-kind engagement ring. Shown below are some of our favorite nature inspired engagement ring that were commissioned this year. Any of these settings can be recreated around your specifications. Taking into account the vast number of nature inspired ring created this year, we are sure the trend will continue to remain strong into 2017. If you have any questions about the custom ring settings featured above, or would like more information on creating a custom engagement ring of your very own, please be sure to let us know. We’re always happy to answer any questions you may have, and we look forward to working together with you to design a floral work of art that will last and be passed down throughout the ages. Get in touch with our friendly and professional staff today. We will aid you on the journey to creating your very own, one-of-a-kind piece of custom engagement ring. We are excited to see what inspiration you will draw from nature!